7.1. 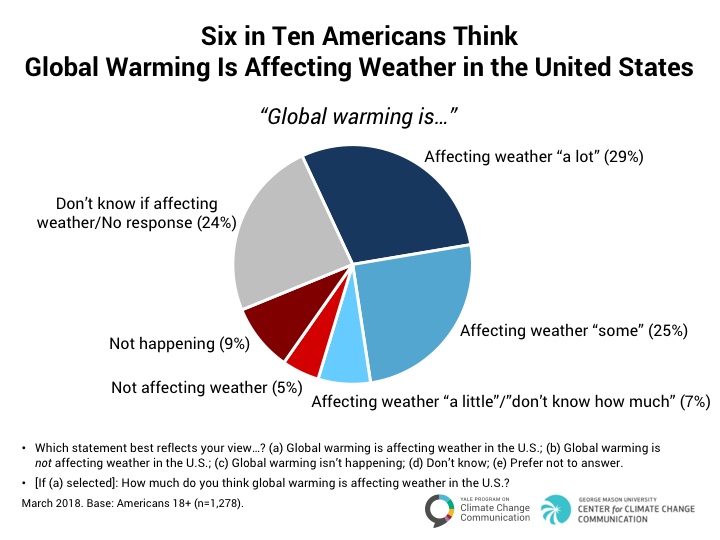 Six in ten Americans think global warming is affecting weather in the United States. As reported in the previous section, about six in ten Americans (61%) think global warming is a “severe weather issue.” Similarly, 61% of Americans think global warming is affecting weather in the United States, including more than half (54%) who either think global warming is affecting U.S. weather “a lot” (29%) or “some” (25%). 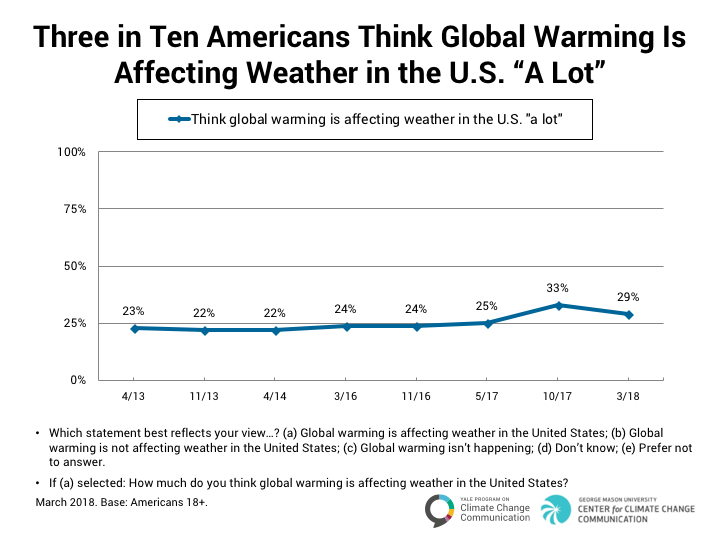 The percentage of Americans who think global warming is affecting weather “a lot” has decreased by four percentage points since October 2017. This is the second-highest level since 2013, below only the October 2017 survey (which was conducted after a summer that included severe hurricanes, wildfires, and other extreme weather events). 7.2. 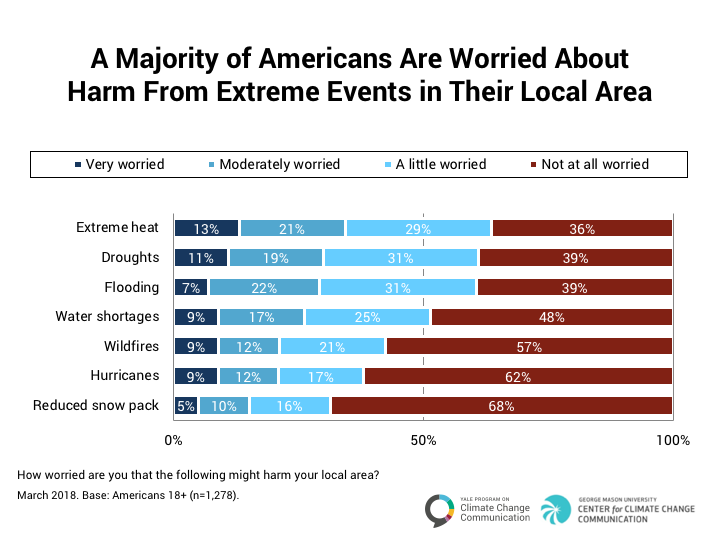 A majority of Americans are worried about harm from extreme events in their local area. A majority of Americans are at least “a little worried” about extreme events in their local areas, including extreme heat (64%), droughts (61%), flooding (60%), and/or water shortages (52%). Fewer are worried about wildfires (42%), hurricanes (38%), and/or reduced snow pack (31%).